Gray resined decals kiy for "Race fuel tank cap"Red decals kit (3pcs) "Scudetto Tamburini Corse"
Gray resined decals kit (3 pcs) "Scudetto Tamburini Corse"
Warning: Products in this area may not comply with local road rules and regulations and are therefore only to be used in private area and/or areas closed to traffic. You are advised to take into consideration the local laws in your country concerning these products and theirs intended use. 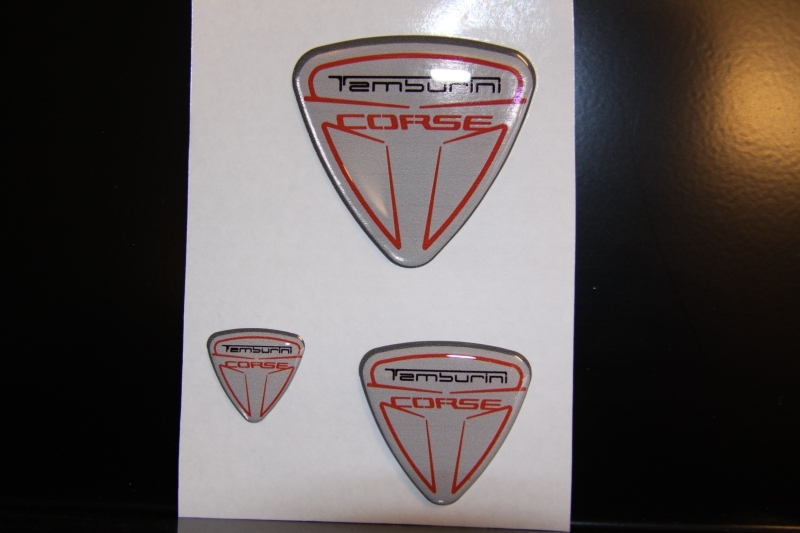 Tamburini Corse cannot be held responsible for the misuse of these products.